A Book of the Year for The Economist and the ObserverOur world seems to be collapsing. The daily news cycle reports the deterioration: divisive politics across the Western world, racism, poverty, war, inequality, hunger. 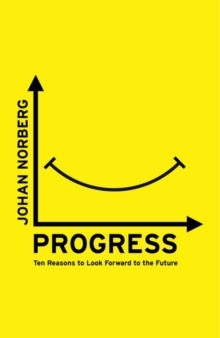 While politicians, journalists and activists from all sides talk about the damage done, Johan Norberg offers an illuminating and heartening analysis of just how far we have come in tackling the greatest problems facing humanity. In the face of fear-mongering, darkness and division, the facts are unequivocal: the golden age is now.